We create and implement integrated public relations programs tailor made to help each of our clients reach their company and business goals. 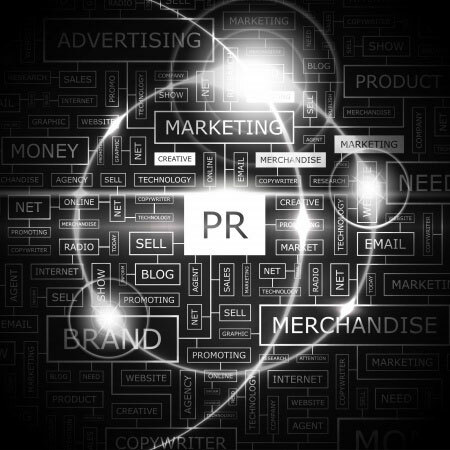 Our public relations services will help you penetrate and create a position in the market, establish and grow your brand, and compete more effectively in your market. We are experts at creating brands, telling your story, and getting consistent high-level coverage for our clients through trade, consumer, business, national outlets, broadcast media, and social media. The first step in creating an effective marketing strategy is listening to the client to clearly understand their company goals, value offering, and budget parameters. All three of these factors have to be in line for a marketing strategy or public relations program to be successful. From our 25 years of guiding companies through growth, acquisitions, mergers, IPO’s, good news/bad news, and everything in between, we have a very good idea about what works and what doesn’t in a PR program. We are also very good a designing the correct program for each client, and exceed at delivering hard hitting results. Agencies will generally list a similar spectrum of services, but who is performing the service is what differentiates one agency from another. A list of our services follows with a brief description of each. We will design a program for you that combine these services in the best way to optimize a program to fit your needs. 25 years of doing media relations has given us press relationships spanning decades, and a level of expertise in effectively getting coverage for our clients that is second to no-one. Effective media relations means identifying the correct media targets for the client, and then producing coverage in those outlets consistently. We have been doing exactly that for the last three decades. We work with all types of media in North America, EMEA, and APAC. We have a comprehensive writing program that has produced hundreds of published articles in a wide variety of publications on topics ranging from aerospace, semiconductors, software, and geothermal energy. We also write white papers, press releases, newsletters, blogs, and other types of content on just about any topic. Writing is one of our core strengths. We can develop a strategic plan that will put a company on the path to success, and then put that plan into to effect to help the company achieve its goals. The best time to develop a crisis communications plan is before there is a crisis. Developing the game plan, creating the messaging, identifying and training the spokespeople, creating the funnel, and managing a crisis when it happens is an area of expertise for us. Public speaking at conferences, on television, or just handling media interviews is a skillset that we can coach or teach you depending on your needs. Speaking to the media has ground rules and strategies that can make the difference between a great story and one that completely distorts your message. We can provide everything from light coaching to a full day workshop with video and professional coaches depending on your needs. Articulating you brand is an essential component of marketing and promoting your company. Getting the management team or different team within the company on the same page on the brand and then articulating it clearly will bring the company together and define a clear identity for the company and its’ value proposition. Having a clear and compelling message can be the difference between success and failure for a marketing communication program. Once the brand is identified, the messaging needs to be built to promote that brand to key audiences. Depending on the situation, we can give input and brainstorm with the client, or do a messaging workshop to identify key messages, and get everyone on the same page with those messages. We will create the optimum strategy and tactics to launch a company, brand, and/or product into the market. We will then build on that launch to position the company as a thought leader in the field. We set up briefings with key media and analysts attending trade shows and conferences, and then follow up to insure coverage. This will cost a small fraction of the expense of having a booth and staffing it for the show, but will expose the company to a far wider audience than the show attendees coming to the booth. We also arrange speaking opportunities and do awards submissions at trade shows. We have helped companies being acquired, helped the company acquiring another company, helped companies through the IPO process, and handled mergers for larger clients. We have set up many events over the years at all kinds of venues across the US including special invite trade show events, grand openings, executive boxes and suits and major league ball parks, theme parks with catering and live music, just to name a few. Our events always have a strong media component with invited press in attendance to be sure that the event is leveraged by wide media coverage. We have a newsletter service that is affordable and easy for the company to implement. We will create the content from a simple interview with the client, and will handle distribution all at a very reasonable price. Clearly having an impactful Website with professional SEO and social media links is a key component of any company’s marketing program. If you don’t have a good Web developer, we can recommend ones that we have worked with, and can also manage the process if needed. We will put together a calendar of relevant industry awards each year, and will complete submission and manage the process for our clients. Our philosophy with billing and fees is to charge a fair price that fits the client’s budget, and delivers the results to get the client to where they need to be. One philosophy in the agency business is to get the largest retainer possible, and then ride the gravy train for as long as it lasts. Our philosophy is to become a partner with our client as either part of the marketing team or a virtual marketing team depending on the situation and needs of the client. Either way, we are part of the team working to help the client achieve its goals. Our billing structure is menu-based with most of our services having a set cost. We will create a strategic and tactical plan at the start of our relationship with a client, and then design a one year marketing/public relations plan that will have a monthly breakdown of services and costs over the year. That means that our clients know what we are going to do, when we are doing it, what it will cost each month, and what the expected results are. This takes the guesswork out of the process and gets everyone on the same page with the program. Of course changes and adjustment can be made over the year if needed.